District 9 (2009). Directed by Neill Blomkamp. Distributed by TriStar Pictures. http://www.sonypictures.com 112 minutes. Rated R for bloody violence and pervasive language. After a ship full of sick and despondent aliens appears above Johannesburg in 1982, the titular District 9 is formed to house the refugees and settle the rising unrest from having the inhuman residents living alongside humans. South Africans—white, black, and Indian alike—show disgust for the aliens need for raw meat and, as addiction to cat food grows, so does violence and poverty among the refugees. However, the interment solution is still not enough; the concern with showing the world South Africa’s humanitarian response to these unusual refugees wanes and interest in the possible use of alien weapons (which humans are unable to use) grows both in the public and private spheres. An o rder goes out to move the aliens even further from Johannesburg, to a tent city called District 10. Like similar films before it (The Great Wall, Avatar, Dances with Wolves, The Last Samurai, etc. ), District 9 follows Wikus van de Merwe, played by Sharlto Copley, a white South African bureaucrat in Multi-National United whose father-in-law just promoted him to supervising the movement of the alien internment camp. In found footage style, we follow Wikus in his attempt to issue eviction and relocation notices to the aliens (referred to derogatorily as “prawns”). Throughout the film, Wikus and others seem to take the aliens’ physical and social dissimilarity to humanity as a reason to treat them inhumanely, though they clearly are sentient beings if deeply unlike us. They have language, adopt some human clothing styles, and have families and children. Despite this, the aliens are openly marked as Other, as outside of human community and civil society, not only by Wikus but by the in-film respondents reflecting on the events we watch on the screen. During the survey Wikus’s displays callous yet self-satisfied attitude toward the aliens held together thinly by fear of failing at this new project. Self-satisfied because he believes himself to be doing what is right for himself, for his family, for the aliens, and for South Africa. Callous because any evidence to the fact that he and his government’s actions are morally questionable are disregarded—until Wikus, himself is the object of the same treatment. Wikus doesn’t seem unaware that that he might in fact be the soft glove of bureaucracy over the strong-arm military-enforced oppression; he uses threats of violence and family-separation to cow the aliens who are resistant to being moved and he destroys egg hatcheries despite the cries of distress coming from the incubating eggs. It becomes clear that Wikus and his paramilitary team are not merely combing through the internment camp to give eviction notices but are actually looking for alien weapons hidden through the camp. In doing so, Wikus finds a lab run by an alien called Christopher, attempting to use a fluid found in all alien technology to restart his broken ship. The tube sprays Wikus in the face when he examines it and after an injury to his hand Wikus begins to show signs of illness. When a doctor finally sees him in the emergency room that evening, his hand has been transformed into the pincer-like claw of the aliens. Immediately, he is taken to the basement levels of his office building to be observed and experimented on as the transformation progresses. The scientists learn that Wikus can operate the alien weaponry that they have been stockpiling. Wikus escapes back to District 9, the only place left for him to hide while he changes into that which he had treated so inhumanely only 24 hours before. Of course, the film ends with Wikus having had an amazing change of heart: he aids Christopher and his child in escaping the district, invading a secret government lab where the aliens are being experimented on, and escaping on the repaired ship, hopefully to bring help for the rest of the aliens stranded on earth. Wikus, however, is left behind. This is what—thinly—saves District 9 from falling into the familiar white savior trope (White Man’s Burden https://tvtropes.org/pmwiki/pmwiki.php/Main/WhiteMansBurden). While he helped Christopher and his child escape, he is permanently altered and not to a form that is considered noble or exotic, as in Avatar but is instead grotesque to human sensibilities. He’s not left in a state of triumph and leadership, though he was able to accomplish his goal, and the glimpse we get of the life he leads after full transformation is as lonely, lowly, and degraded as that of any of the other aliens, waiting in hope for Christopher’s return. Despite the film’s violence, the value in watching District 9 are the questions it seems to want to answer, one of which is, “What does it look like when we join the Other?” and the questions it asks of us. 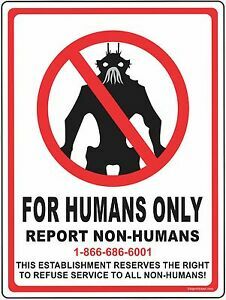 If District 9 is a metaphor for the journey that one can take to move from willful blindness to and compliance with oppression to active resistance and becoming one with the oppressed we have to wonder at the catalyst as well. Solidarity with the aliens isn’t a path Wikus takes of his own volition; it is forced on him in a horrific way, violating his body autonomy and sense of self, and ultimately separating him from his family and community. This is the type of rupture that theorist Frank B. Wilderson (Afropessimism, An Introduction) speaks of when interrogating the particular type of Otherness that is blackness: “…the real question is, Will these people do all they can to fall into the abyss of nonexistence?, not about how they will perform as partial allies while keeping their cultural presence,” (pg. 29). Is there a force that can push us beyond our boundaries; remaking us from the inside out into a new creature with new hungers and thirsts, who sees the world differently? Is this journey something that we can sign onto willingly? If so, have we realistically counted the cost? Like Wikus’s transformation, such a change in the church will probably be messy, painful, at times unattractive, and will not always result in an elevation of status for all involved. However, unlike Wikus’s transformation, a move to join the Other in the Church would not be an accident and cannot be done without our consent. It is a calling issued by God throughout scripture that must be responded to. My hope with AMEN and The Coalition blog is that we are able to spur on the Anglican world and the Church at large in rushing into the gaps these questions open up; to say that yes, there is a transforming power in knowing Jesus Christ, and yes, there are people willing to associate with and even become the lowly, and here is how this part of the Body of Christ is being transformed in way that allows us to join with the Other without reservation and despite the very real social, personal, and political cost.